Our Oven Cleaning Franchise offers a superb opportunity to those looking to become self-employed, but are perhaps asking themselves where to start. We have helped hundreds of people over the years, who were all slightly anxious about taking the leap of faith into self-employment. Our Franchisees have come from many different walks of life, all over the world, maybe feeling that they were unhappy in their current job, facing redundancy, not sure about their job security or quite simply bored of the same old repetitive routine. However, sheltered by our corporate umbrella, we have guided and helped them all to run successful, profitable businesses, whilst they duplicate and replicate our existing methods and systems. 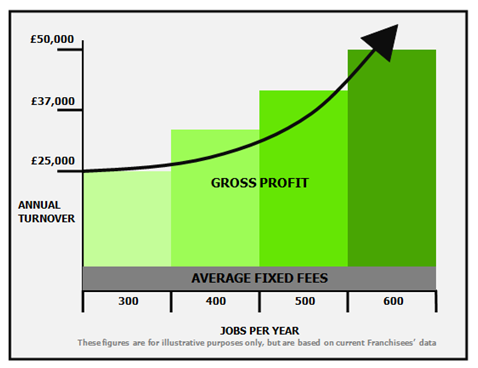 Systems which over 100 Ovenu Franchisees will tell you, just work. Providing a quality, sought after service to their highly satisfied customers, with every day being different from the last. 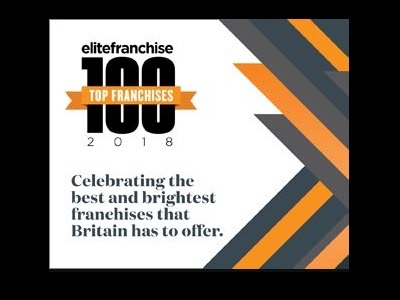 And it seems that the judging panel at #EF100 rather like our Franchise Opportunity as well – out of over 1,000 franchises operating in the UK just now we’ve been voted to be in the Top 100! Our clients love what we do as well – we’ve just broken through the 20,000 mark of Reviews & Testimonials from across the UK. We have taken the most anxious, apprehensive people and given them fresh enthusiasm, motivation and confidence to begin their new career and ultimately, their new life. A new lease of life working WITH us – but not FOR us. If you feel just like our current Franchisees once did, want to step off the 9-5 treadmill or take control of your own diary with our continuous support, use the form to Register Your Interest to receive more information, or click here to visit our recruitment specific website.